Here is a case reported by media on 5/14/16 for which there is probably no right answer... The facts are not in dispute in which a 24 years old man underwent tonsillectomy 2/3/12 and died 9 days later from an overdose of narcotics, anti-anxiety meds, and cocaine. The main issue from an ENT perspective is whether the 145 narcotic pills that were prescribed for this patient was appropriate or not. You can read the media report here. Feb 2, 2012: Patient was given 50 percocets to help with post-operative pain. Instructions were to take 1-2 tablets every 4-6 hours. Feb 7, 2012: Patient contacted the ENT stating had run out of percocets and needed more. Patient was given 40 vicodins to be taken 1-2 tablets every 4-6 hours. Feb 10, 2012: Patient was given another 40 percocets. Patient was found dead the night of 2/12/12 apparently having overdosed on narcotics, anti-anxiety meds, and cocaine. In children, the pain from tonsillectomy can be well-controlled with tylenol and motrin alone without resorting to narcotics [More Info]. 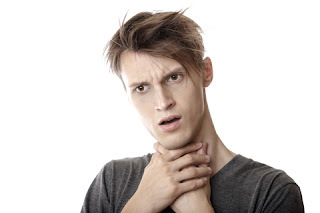 However, the pain adults suffer after tonsillectomy is quite excruciating and can last 2-3 weeks... not 3 days as suggested by an internist quoted in the article. In fact, women who have given natural childbirth report tonsillectomy pain is FAR worse. The average weight loss after tonsillectomy is about 5 pounds due to the severity of the pain which limits nutritional intake. Dehydration to the point IV fluids are required is the most common complication. Pain often exacerbates 7-10 days AFTER the surgery. In other words, adult tonsillectomy pain is severe, prolonged, and overall absolutely the pits. You can read all the comments adult patients have self-reported after tonsillectomy here. As such, it is not unheard of for large quantities of narcotics to be taken for 2-3 weeks after tonsillectomy in adults. Indeed, the quantities dispensed for the above patient is not unheard of, albeit on the high side. The issue at stake given the above overdose case is how an ENT is supposed to handle narcotic refill requests from other adult patients who have undergone tonsillectomy. Should the actions of the few end up affecting and hurting the majority of patients who have legitimate pain? According to drug addiction experts, ENTs are supposed to treat any patient requesting narcotic refills to be liars and as potential drug abusers until proven otherwise and treated as such. As such, should all patients after tonsillectomy requesting narcotic refills undergo urine drug testing? That no refills be provided at all and to stick with over-the-counter medications? There have only been a few patients over the years where I was truly concerned for potential drug abuse, but given the pain may also have truly been legitimate, I have resorted to admitting such patients into a hospital where monitored narcotic drug administration could be provided. But what about the less clear cut situations? What would you do? Keep in mind, pain after tonsillectomy is severe as well as prolonged and there is both an ethical as well as Joint Commission mandate that pain be treated. So, how many narcotic pills is considered sufficient after tonsillectomy beyond which a patient should be considered a potential drug addict? How many excuses before a patient is considered suspect (i.e., lost my prescription, pills fell into the toilet, side effects are too severe)? Doctors overall are caught in the middle. If we don’t alleviate pain, we are criticized. If we believe what patients tell us, that they are having uncontrolled severe pain and current narcotics do not work, cause side effects, or have run out... and we prescribe more narcotics, we are at risk of being sanctioned by a state medical board or even arrested.